Established in 1984, by the New Jersey Department of Agriculture, the Jersey Fresh logo and campaign was designed to inform consumers which fruits and vegetables were grown in the Garden State. Jersey Fresh is arguably most successful State branding program in America with a study showing 30-to-1 ROI on the program. The State and its Agency-of-Record sought our expertise in creating successful digital experiences to radically rethink the new website. The State-developed website was hard to keep fresh as it was a nightmare to maintain on the backend. It was not user-friendly on the front-end as well, making it extremely difficult for eager consumers to find where fresh, locally grown produce is available. The State of New Jersey needed to redesign the government website so that it will become the go-to resource for those people interested in supporting local produce and farming businesses in New Jersey. Our joint team of experts transformed Jersey Fresh into a fully realized online experience designed to inspire residents to take pride and feel excitement in bringing the best of what local farms have to offer into their homes. 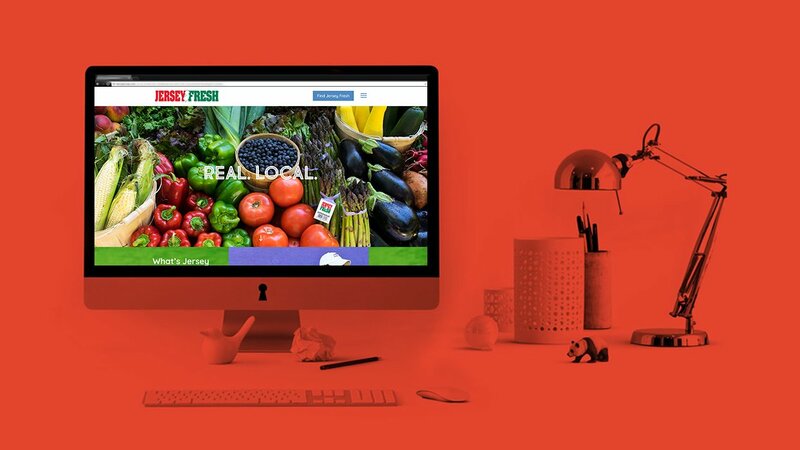 Key Medium worked directly with the Marketing Division to a database-driven, user-friendly and sustainable website platform – connecting farmers with consumers about the availability and variety of fruits and vegetables grown in New Jersey. Enabled staff to easily and efficiently keep the new website fresh. Training on using the new platform to implement updates took just enough documentation and a 4-hour training session. For businesses like farms & markets, the new platform showcases their products, events and more. For consumers, this means a world of new places, food, and recipes to discover. Attract new consumers with its user-friendly features, with nearly 10k consumers reached in just the first month. Enable staff to easily and efficiently keep the new website fresh. A robust platform honored by the Academy of Interactive and Visual Arts in the Websites-Green/Eco-Friendly, Websites-UserExperience, and Websites-Government categories since launching in May 2018. The site is truly the hub for all things Jersey Fresh, directing consumers to farms and retailers that promote the brand, showcasing unique recipe videos and other creative content, and highlighting the diverse men and women that grow some of the best produce in the world.